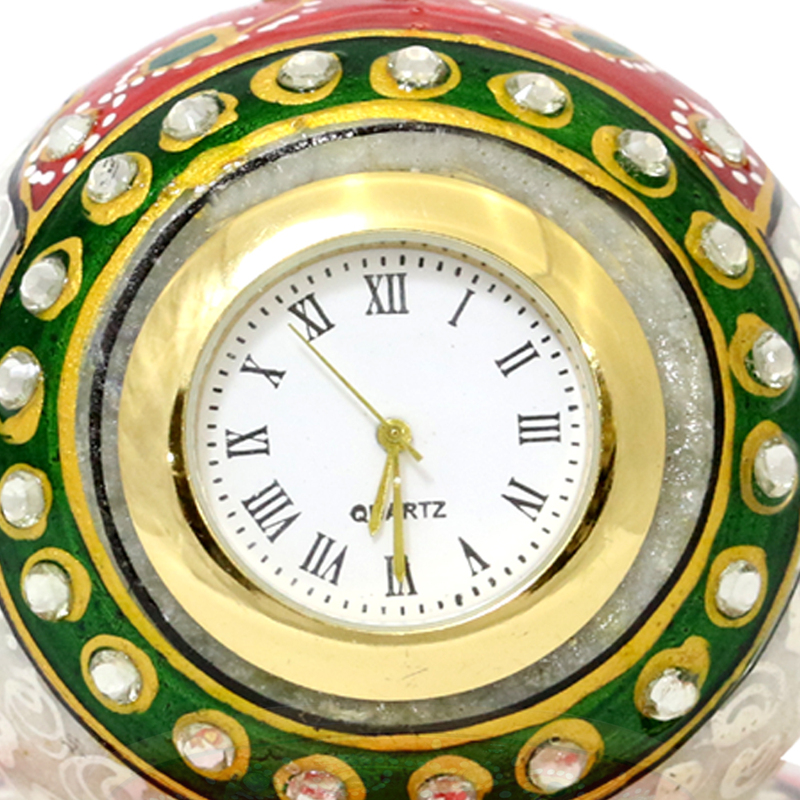 Home decor can be enhanced with useful items like this elegant clock. 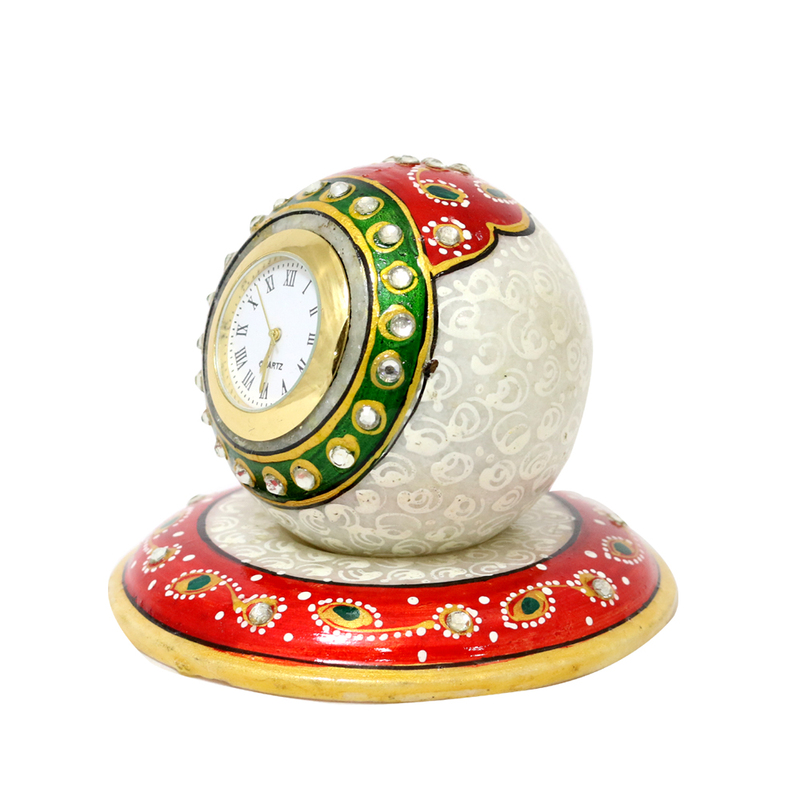 This diwali bring home this beautiful Marble Paperweight style clock with beautiful meena Read More..work . 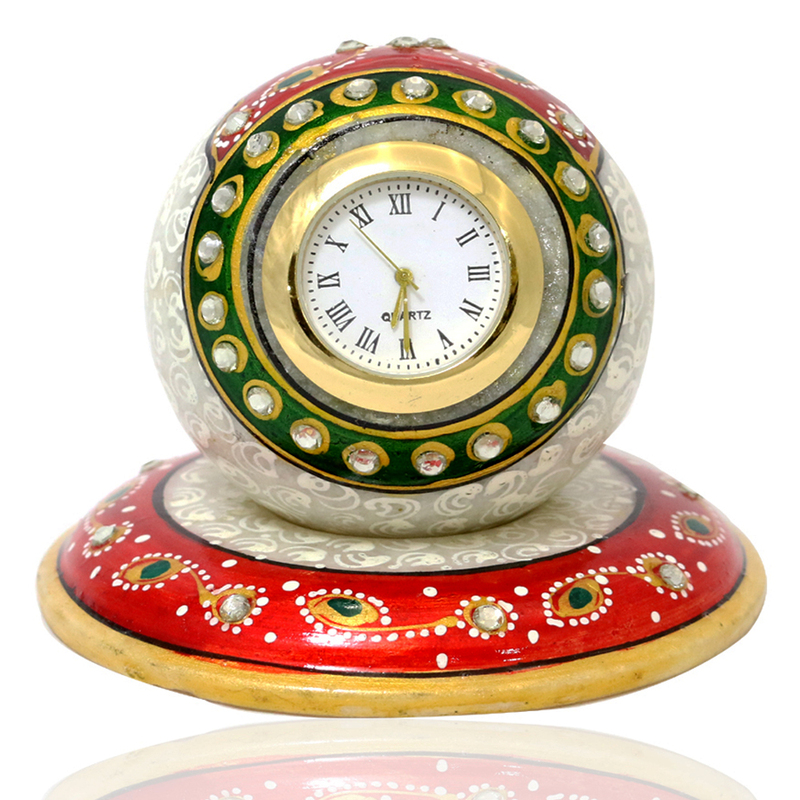 It can be a useful as well as decorative item for your drawing room. Gift this exclusive item to people you care about and get appreciated for your choice. This will also serve as a memento of your love, care and respect towards your near and dear ones. Show Less..